TSC Restoration does not offer roof repair sevices. This article has been published for informational purposes only. Instead, TSC Restoration offers water damage restoration services in San Diego for rooms, homes, and commercial properties. Now that the leak is under control, you’re left with the water damage to deal with. This can be a bigger mess than you expect, with water stains, soaking walls and flooring, and the chance to develop mold if it isn’t handled within the first 48 hours. Exposure to mold and the other pathogens leaks can spread, can be hazardous, so it’s best to call a professional. A restoration professional can control mold and fix the water damage. 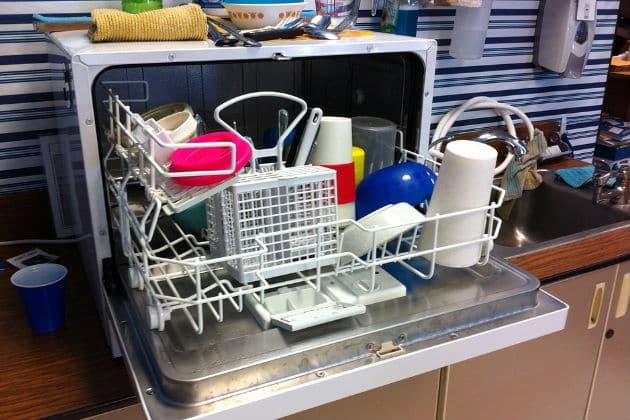 They can dry up water and sanitize materials that can be salvaged. Hopefully, they will do this before a smell develops from the water, but if not, they can also remove the smell. A leak in your roof caused the water damage, of course. But there are many different kinds of roof leaks. Sometimes inexperienced roofers will close a hole in your roof improperly, simply directing the water to another location, allowing it to cause more damage. 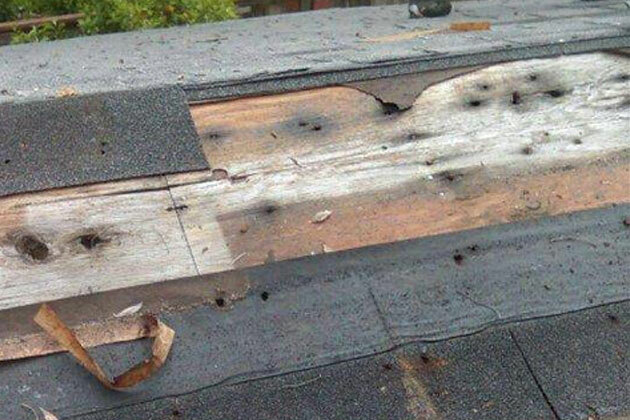 You want to be sure that your roofing professional addresses the core cause of your leak, instead of giving you a band-aid fix that will only last until the next major rain. Here are the most common causes of roof leaks and how they can be addressed properly. A valley is the inside angle where two roof faces meet. It’s a particularly vulnerable area of the roof because rainwater is channelled into it. California style-valleys are particularly prone to problems. These have the shingles turned on their side when they should be installed straight and then cut to fit the valley. If you have a roofing professional install a closed-cut or open valley style, you can prevent future valley problems. Flashing is a thin metal sheet, usually galvanized steel, installed at critical points of the roof, like where the roof face meets a vertical wall that makes up the second story of the home. Though it’s counter-intuitive, flashing can be too secure. Steel shrinks and expands in changing temperatures, and if it’s nailed to both the roof and the wall, it will become deformed, leaving a gap for water to enter. Warped flashing needs to be replaced. A roof feature is anything that penetrates the decking of the roof. This includes skylights, chimneys, vents, and anything that allows air or light to travel from one side of the roof to the other. These are vulnerable areas of the roof because they lead directly into the home, and can let water in that way too. These features all require flashing to keep water out properly. 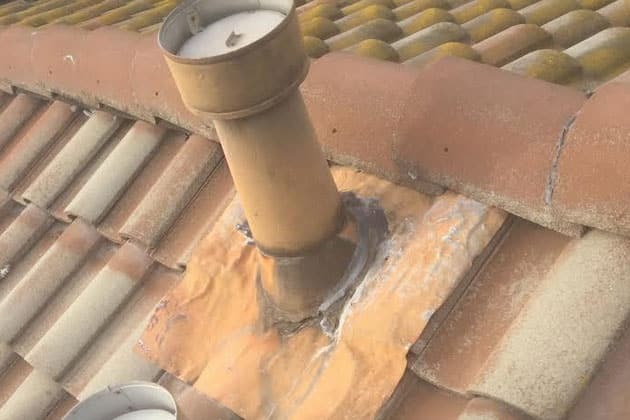 For example, chimneys are frequently the source of a leak if their flashing is not properly incorporated into their masonry. Skylights are another common culprit. A curb mounted skylight may be the solution if your flat skylight is frequently leaking. Roof leaks from damaged shingles are most likely to happen just after installation, or after they’ve been on the roof for many years. 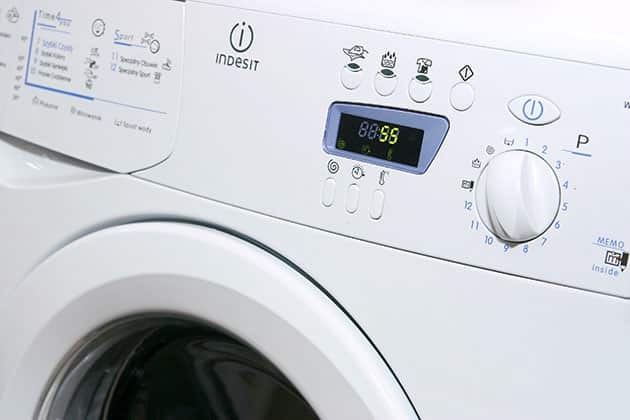 Immediate problems are likely due to either manufacturer defects or improper installation. A reputable roofing professional will be happy to correct any roof leaks that happen within a year of their installation and help you determine if the problem should be covered by the manufacturer’s limited warranty. If your shingles have been on the roof for many years, and look curled, ripped, thin, or are beginning to fall off, it may be time for a complete roof replacement. Otherwise, it may develop small leaks in various parts of the roof for the next few months or years. It’ll save you money to simply replace it all immediately. After dealing with the mess caused by roof water damage, you certainly won’t want to go through it again. The good news is, preventing roof leaks is quite simple. Regular roof maintenance from a qualified roofing professional can prevent leaks before they ever happen. They can see the tell-tale signs of wear before you do. Further, most roofing professionals will be happy to inspect your roof yearly for a small cost, because they will want to be your first call when you do find a problem. Are Roof Leaks Covered by Home Insurance? Generally speaking, your home insurance policy should cover most types of roof leaks, but not all of them. Roof leaks caused by poor maintenance are not likely covered, so you might have to look into other options for funding for your roof replacement if the damage is extensive. Check your home insurance policy to know exactly what kinds of roof leaks are covered. The ones that are covered under the open peril list are damages arising from fires, smoke, and wildfires. Roof leaks caused by explosions, lighting, hail, and windstorms are covered as well. To know the exact extent of your policy, you’ll have to read it or review it with a professional. You should also take special note of the causes that are specifically not covered by the insurance, such as damage caused by earthquakes, mudslides, landslides, and floods. They also typically don’t cover damage caused by mold, fungus, or pest infestation. Roof leaks caused by smog, rust, corrosion, negligence, and general wear and tear are not covered either. If the damage is a result of the warping of the house’s foundation, that’s excluded also. Understand how your home insurance coverage works. Often times, there are deductibles and coverage limits that have to be considered. Deductibles pertain to the amount that you shoulder whenever you apply for a claim. The coverage limit, on the other hand, pertains to the maximum amount that your insurance provider is willing to pay. It’s possible to adjust the deductible and coverage limit according to your needs but that would mean that you may have to adjust your monthly premiums as well. It’s best that you consult with your insurance agent to know how you can adjust the values accordingly. Roof leaks should be included in your home insurance premium. Doing so helps you pay for the repairs due to the covered perils listed above. That will save you a lot of money in the long run. There are different home insurance companies offering coverage for roofing leaks and you simply have to choose the one that can provide you with the best coverage for the right price. Regular roof maintenance can also help prevent some of the worst leaks in your home if you don’t want to deal with the hassle. The cost of roof repair can range greatly from $100 to $3,000. Having the insurance company cover some, or the entire amount can be a huge help.